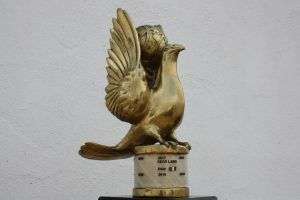 Familie Soellner (Germany). 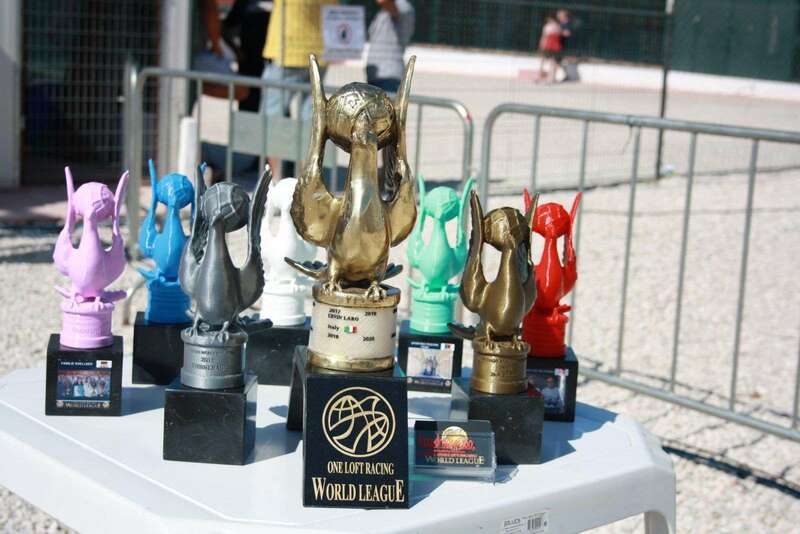 In Masters World Division (Top world division of OLR World League), the same participants, in 2018 are 22 top world team/fanciers OLR specialists, compete in 4 different OLRs (Danish Pigeon Race, Derby Corabia OLR, Algarve Great Derby and Derby del Mediterraneo), in 4 different countries (Denmark, Romania, Portugal and Spain), a true challenge. 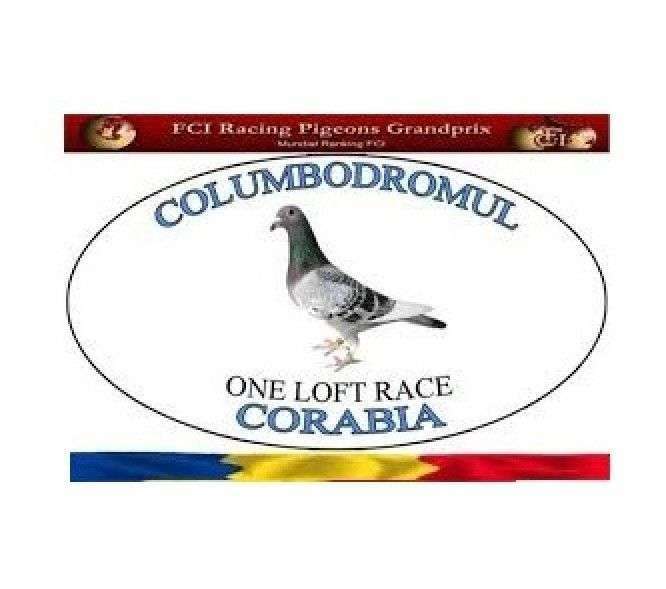 It is the base of the OLR World League competition, the same teams/fanciers participants in the same races, a fanciers pigeons fair competition. 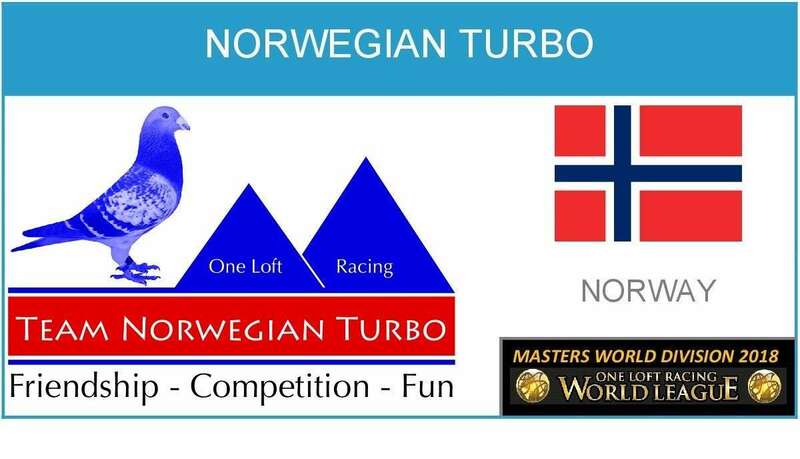 In Masters World Cup, the main competition, all races score for the ranking, it is, in 2018, 21 races with a total of 5.290 km. 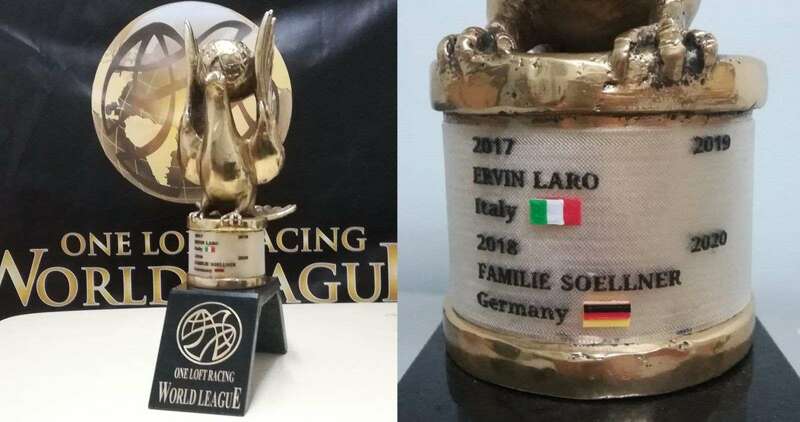 the pigeons that have taken less time to fly this distance have been from Familie Soellner: 105 hours, 16 minutes, 37 seconds, so Familie Soellner (Germany) takes over from Ervin Laro (Italy) 2017 Champion, and write his name and his country in the exclusive Masters World Cup Trophy, in its prestigious great golden ring. 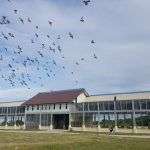 Of course, we are not discovering now a new champion specialist in OLRs, because they are known and recognized as one of the best competitors in pigeon races worldwide. 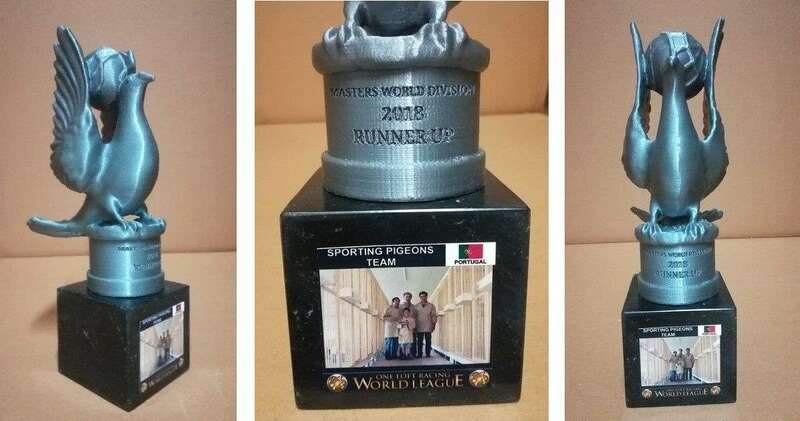 Masters World Cup Trophy Only two more teams (besides Familie Soellner), of the 22 participating teams, scored in the 21 races: Sporting Pigeons Team (Portugal): Masters World Cup Runner Up 2018. 5.290 km. in 131 hours, 56 minutes and 34 seconds. 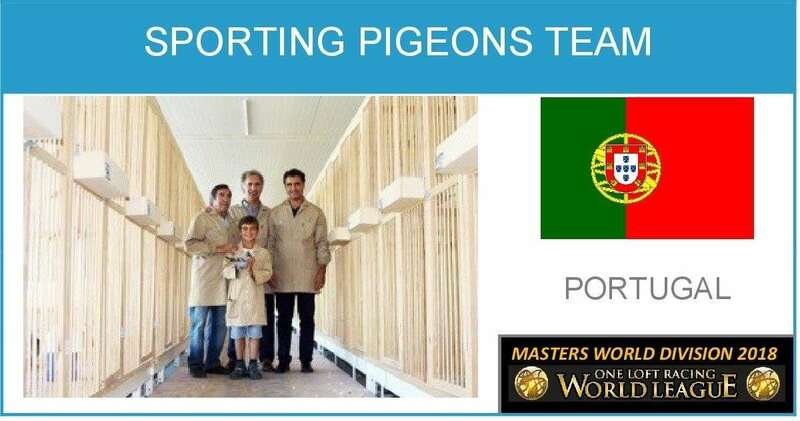 We want to highlight that Sporting Pigeons Team was Masters World Cup Runner Up 2017 too, and Knock Out Championship CHAMPION in 2017 and 2018, so we want all of us to value the high level of this competitor. 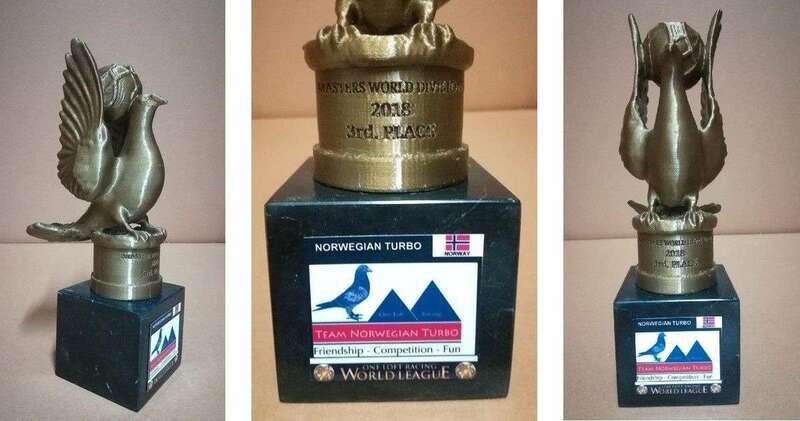 Masters World Cup Runner Up 2018 Trophy Norwegian Turbo (Norway): Masters World Cup 3rd Place 2018. 5.290 km. in 147 hours, 43 minutes and 37 seconds. 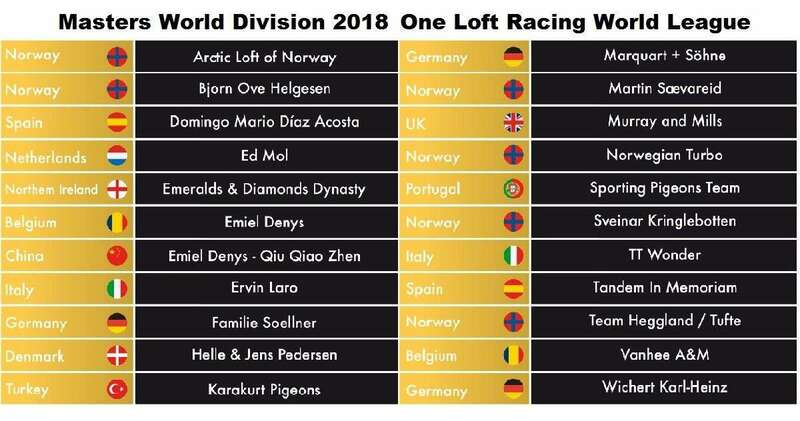 We want to highlight in this case, the result of Norwegian Turbo and the rest of participants from Norway, which have been protagonists for their good results in One Loft Racing World League 2018, this comes to continue and confirm the progression of Norway in the international pigeons races. 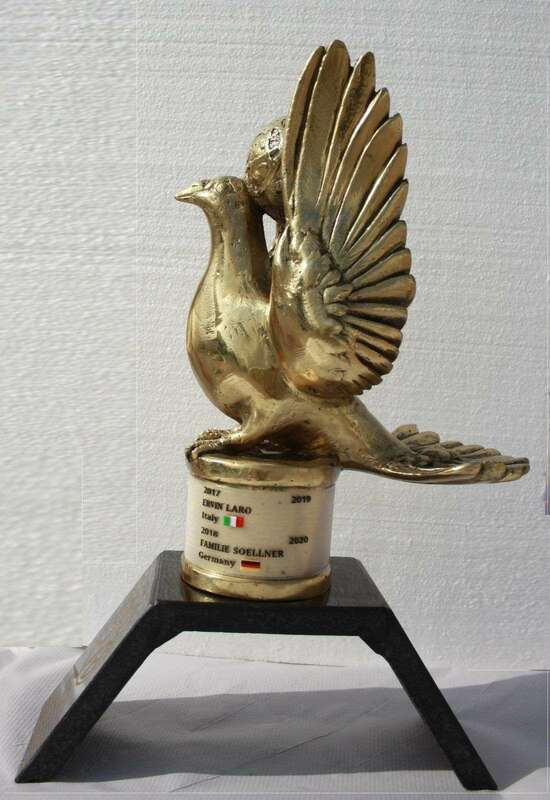 Masters World Cup Runner Up 2018 Trophy We want to congratulate all the teams for their participation, from the first to the last in the ranking, it is not easy, it is a true challenge, where they expose themselves to the rest of the fans in a very hard competition, with real specialists worldwide, where only being in that select group competing, is already a successful. 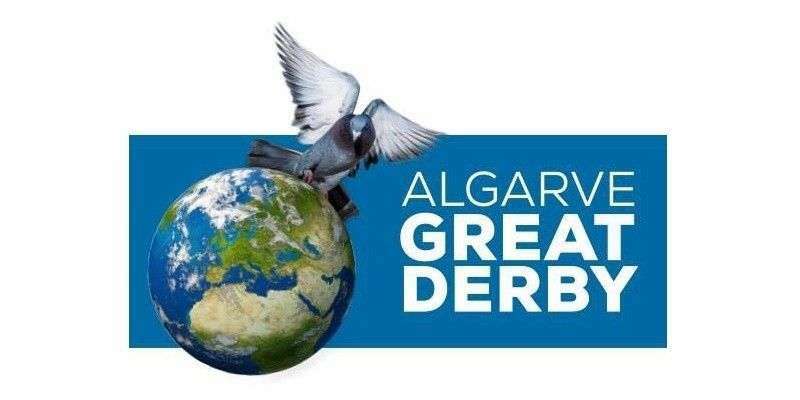 THANKS BRAVE FANCIERS/TEAMS. 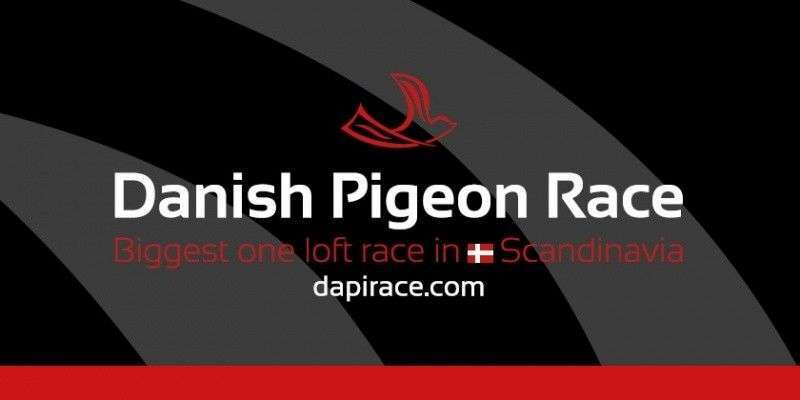 DANISH PIGEON RACE. 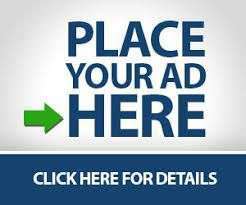 EXPO HOUTEN 2017. 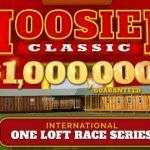 Scoring One Loft Race of the One Loft Racing World League.